GRAFENWOEHR, Germany — National Preparedness Month, recognized each September, provides an opportunity to remind us that we all must prepare ourselves and our families now and throughout the year. This year’s NPM focused on planning, with an overarching theme: Disasters Happen. Prepare Now. Learn How. The Office of War Information was created in 1942 by President Franklin D. Roosevelt and it used numerous tools to communicate to the American public. The World War II effort included many messages designed to support the war effort and to further demonstrate the United States’ commitment to winning the war. The message may be 70 years old, but its meaning isn’t lost in time. The ability of the American public to overcome seemingly insurmountable problems rests with our readiness to face those threats head-on and to take positive action to prepare for them. It rests with our resiliency. 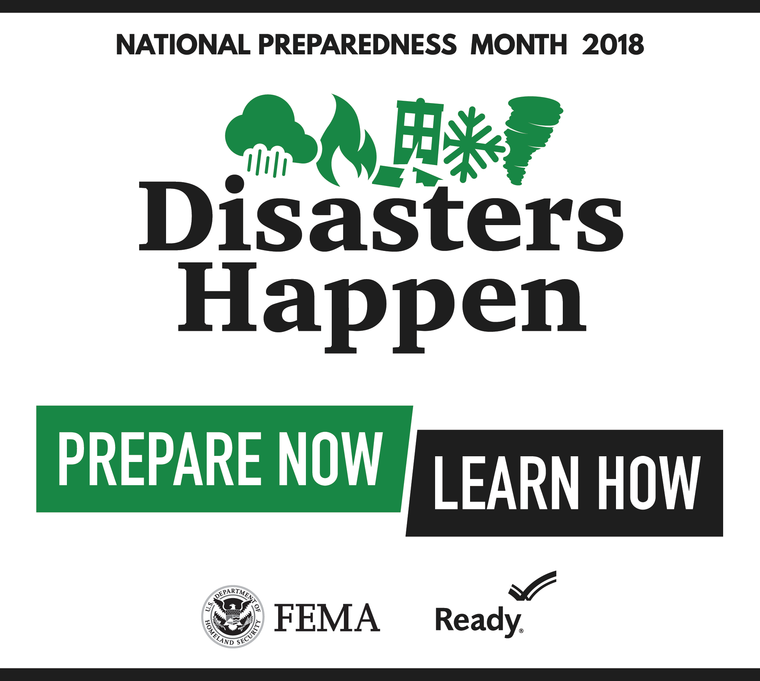 Ready was launched in 2003 as a national public service advertising campaign designed to educate and empower Americans to prepare for and respond to emergencies, including natural and man-made disasters. The Ready Army program complements that effort. Disasters continue to occur, and each event seems to break a new destruction record. In 2017, there were multiple weather and climate disaster events with losses across the U.S. These events included severe weather, flooding, hurricanes, winter storms, major flooding events, and the ongoing western drought. Overall, 508 people were killed with damages surpassing $89 million dollars. This had significant economic effects on the areas impacted. Disaster or disaster-related losses can affect any person or community. Diseases such as Ebola or West Nile, bombings, public and military base shootings, wildfires, water shortages, and flooding and wind damage all lead to large-scale consequences for our nation and our communities. Note that disasters that impact U.S. bases also impact European readiness because we get degraded support from CONUS-based units and supply chains. We must plan for the best case and worst case scenarios, but failing to have a plan is planning to fail and that is just not keeping with the Army can-do attitude. The devastating hurricanes and wildfires of 2017 reminded the nation of the importance of preparing for disasters. Often, we will be the first ones in our communities to take action after a disaster strikes and before first responders arrive, so it is important to prepare in advance to help yourself and your community.